Remember when the ATM's first came out? Wow, now they're everywhere in some form. Design your own and when the client touches information on the screen, it completes a process. 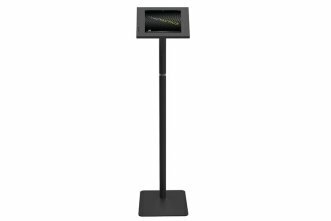 VCS has a user defined kiosk on a tablet that you can hang on the wall or on a stand inexpensively. VCS support sets up what you need based on your business personality. Walk in salon, perfect. Spa with lots of square footage, ideal. What do you need from a self service kiosk? Busy guest look for speed and convenience. Salon or spa with a back door entrance? Put a VCS self check in on the wall or a stand as they enter. Whatever your self service process, the information is tracked and measured. Busy spa or salon, hand the guest a tablet and let her touch in her own information. She'll always get it right and opts in to how she wants to communicate. AIM takes it from there. Every spa and salon has a place where a self service kiosk would improve guest convenience. Where are yours?